Lime juice and sugar paste help lighten the skin colour on hands. Lemon-turmeric pack helps remove tanning from hands. Soaking hands in warm milk strengthens the nails. The back of your hands begin to show aging sooner than most parts of the body as skin on the back of the hands is thin and has few oil glands. The hands also come in contact with soaps and detergents daily, when we perform our washing chores. These play havoc on the skin, making it rough and dry. This is more so in winters, when the skin loses moisture to the atmosphere. 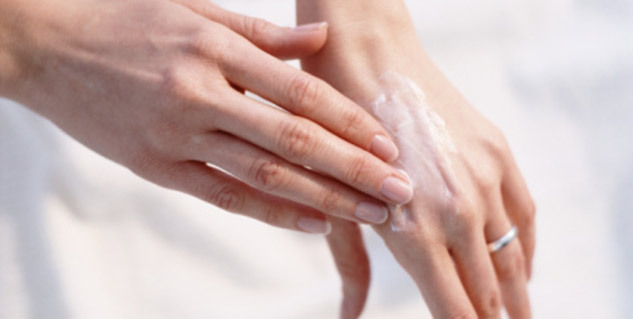 Massage the hands at night with a good nourishing cream. Apply the cream on the back of the hand. This is the area that is prone to early wrinkling. Work down each finger, starting from the tip. Use tiny circular movements on the joints of the fingers. Massage the back of the hand, using strokes moving from the fingers towards the wrist. Bath time is appropriate to pamper the hands and supply them with the oils and moisture they need. 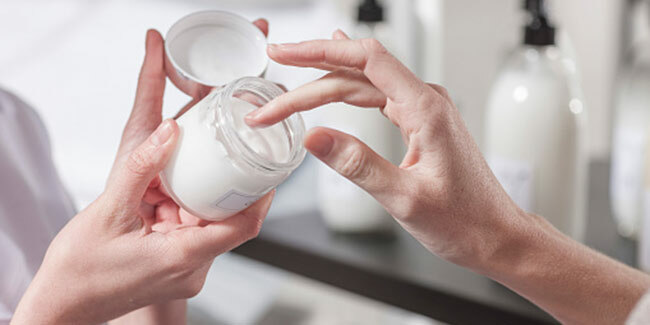 In fact, applying body lotions and creams soon after bathing, while the skin is still damp, helps seal in moisture. Before your bath, apply oil on the hands and massage it into the skin. This helps to soften the skin. Sesame seed (til) oil can be used, or you can use olive oil or pure almond oil. Warm the oil before use. Use of a lemon-turmeric cream as a pre-bath treatment is advisable. It not only helps soften the skin, but also lightens the skin colour and removes tan over a period of time. It also protects the hands from the drying effects of soap and chlorinated water. Turmeric has antiseptic properties too and thus provides protection from infections. A home pre-bath treatment is to mix 'besan' (gram flour) with a little milk or curd and a pinch or "haldi" (turmeric) into a paste. Apply the paste on the hands. After 20 minutes, dampen with water and rub the paste gently on the skin and wash it off while bathing. You will not need to apply soap, as this cleanses the skin well. For bathing, soap-free shower gels are better for winters. Or, you can use mild glycerine soap. For extreme dryness, it is better to avoid soap. Oil massage and wiping with a moist towel can help to cleanse the skin adequately. For dry and dark hands, take 2 tablespoons sunflower oil, 2 tablespoons lemon juice and 3 tablespoon coarse sugar. Mix together till it becomes a paste. Apply and rub into hands. Wash off after 15 minutes. For dryness of the hands, add one teaspoon pure glycerine to 50 ml rose water. Apply on the hands and leave on for half an hour. Then, wash it off with plain water. Adding a little lemon juice before application will help lighten skin colour. To soften the skin and lighten skin colour of hands, you can also take some sugar in your palm and add lemon juice. Rub this on the back of the hands and wash off. Put a cupful of warm milk in a bowl. Soak your hands in it for five minutes to strengthen nails and soften the skin. Take fresh orange peels, pierce them with a fork. Rub the peels on the hands to brighten the skin.